Saree is one versatile garment that represents the true heritage of India and its tradition. The centuries old garment is adored by women all around the globe today. Saree is not only limited to India but it has influenced many other cultures in the world massively. That’s obvious because a saree is that one garment that gives women a sense of grace, elegance and luxury. It is nonetheless the classiest garment ever that is perfect to wear for any Indian occasion. A saree imparts femininity like no other and flatters almost every body type. This is why saree has been increasingly chosen for the red carpet looks. We can’t forget how elegant AishwaryaRai Bachchanlooked when she chose to wear saree for her Cannes red carpet event or for that matter even DeepikaPadukone did for her red carpet moment. Even westerners are increasingly gravitating towards it. That’s the magic of saree. It gives the flexibility to be worn in any style, paired with different patterns and blouse types as well as accessories of your choice. 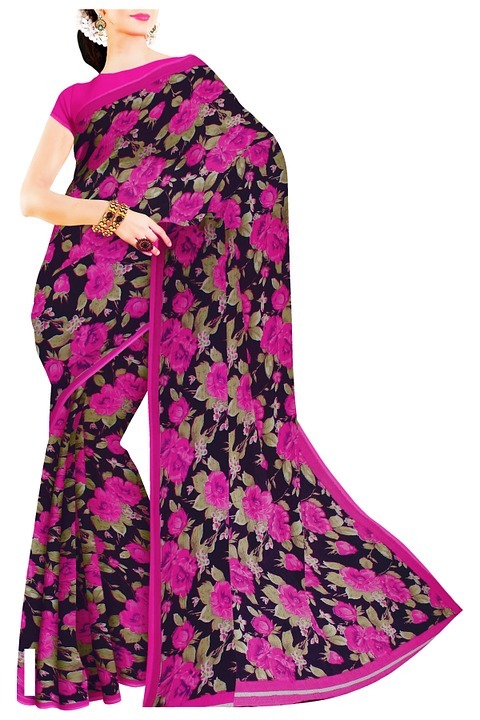 You can pick saree in different types pf fabrics and patterns. In today’s times, sarees define the spirit of modern women and channelize it perfectly by emerging as a fancier and glamorous garment. Buying a saree merely is not enough. You need to learn the art of saree draping as well. Saree draping is a subtle art that needs to be learned by heart so as to make a perfect impression in any event. The most important part of the saree draping technique is to master the art of making pleats. A well-pleated saree will bring out the best out of the saree as well as the person wearing it. If you are going to wear cotton or silk saree then making pleats, later on, might turn into a big mess. In this case, it is best to make pleats beforehand. The trick is to make the pleats first and then align them properly. Now the next thing is to iron them. Iron them well so that they set themselves as pleats and do not get ruined while you are actually draping the saree. This works perfectly if you are wearing a saree for classical dance or some traditional events. This way, you can easily drape saree all by yourself without anyone’s help. Usually, pleats are made while draping the saree. If you are not a pro, then you will need assistance from someone for making pleats. You can make pleats using your hands and while you are making them, you can secure them using your fingers. Make one pleat by wrapping it around your finger at a span width. 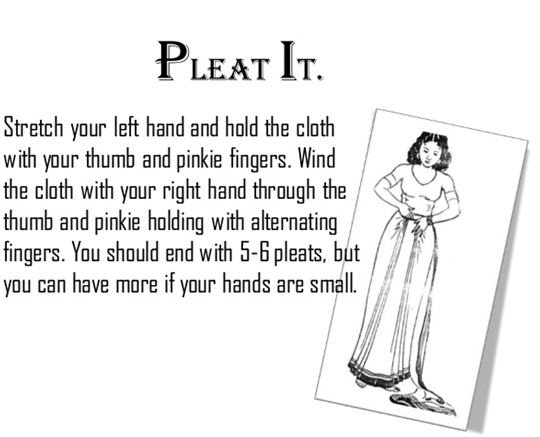 For the next pleat, you will use another finger and repeat the process until you make 4 to 5 pleats. After you are done, you can remove the fingers from the pleats and secure them with safety pins before tucking. You can also take assistance from someone while pleating so that you can focus on making pleats and the other person holds them for you through its hands. The first step is to wear a petticoat and drape saree around it to complete one round around your waist. Insert the black plate of the magnetic pleat maker into your petticoat to start with. Make sure it is in place. To start pleating, you need to grab the end of the pallu and place it in the first hook of the pleat maker. Now start by wrapping pallu over it. The first pleat will be formed as you wrap it over the first tab. Now to form the second pleat, pull the colourful side of pleat maker from the top and place it over the first pleat. It will be fully covered and you can now make the second pleat with a new tab. Make remaining 4 to 5 pleats using the same technique and keep pulling the tabs of the pleat maker as soon as you are done making a pleat be ready to make a new one. Align the pleats properly while pleats are secured in place by the pleat maker. Before you remove the pleat maker, make sure you secure the pleats from top till the end using clips or safety pins. You are now free to remove the magnetic pleat maker. While holding the fully secured pallu, take the pleated strips behind your back in order to set the pallu in the desired style. Once you adjust one end of pallu on left shoulder, use a clip to secure it with blouse. Now bring the leftover saree to the front end and put the pleat maker again so as to make front pleats using its tabs. Make pleats of the remaining saree following the same technique as described earlier. Secure pleats with the clips and tuck them into the petticoat. You are ready with even and flawless pleats and well-draped sari.